The RS485 isolator is used with the RS485 cable to provide up to 3.5kV of opto-isolation for incoming cables. A rapid Transient Voltage Suppressor inhibits lightning and electrostatic discharge surges to 1kV. 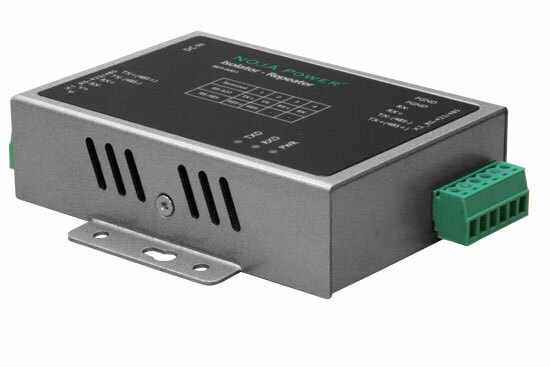 This provides protection against lightning strikes and common mode interference. The isolator is provided with a power cable that plugs into the 12 VDC External Load connector on the SIM module inside the RC10 cubicle. The isolator should always be used when copper communications cables are exiting the cubicle.